One Punch Man OVA The Pupil Who Is An Extremely Poor Talker. 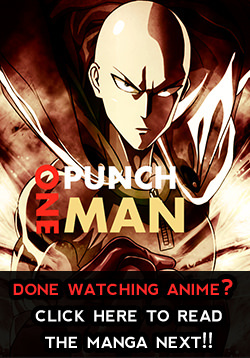 Watch One Punch Man OVA 2 in High Quality HD online on www.OnePunchMan.tv. You Are watching One Punch Man OVA 2 The Pupil Who Is An Extremely Poor Talker. OVA 2 in the TV Anime Series One Punch Man . All links are broken. Even the mp4upload download links fail. They are all working, refresh. Anyone notice the blushing face of the clerk at the sale Genos missed as he was pressing her against the wall?